At the 2013-2014 community service award ceremony at Western Carolina University (WCU), Service Learning Director, Lane Perry delivered a message to the students, faculty, and community partners present. Mr. Perry said that the greatest leaders of our times–Dr. Martin Luther King, Mahatma Gandhi, Nelson Mandela–began their path to leadership not by leading, but through hands-on service to others and through close, inquisitive observation in their communities. He went on to say that these are the experiences WCU values most for its students and that the university’s leadership considers critical to students’ collegiate years and professional training. For WCU, ASAP and its Growing Minds @ University program have proven to be a natural fit and successful partner to the university’s initiative to promote service learning. Through the ASAP program, WCU professors have integrated local food and farm to school service learning opportunities into their courses. 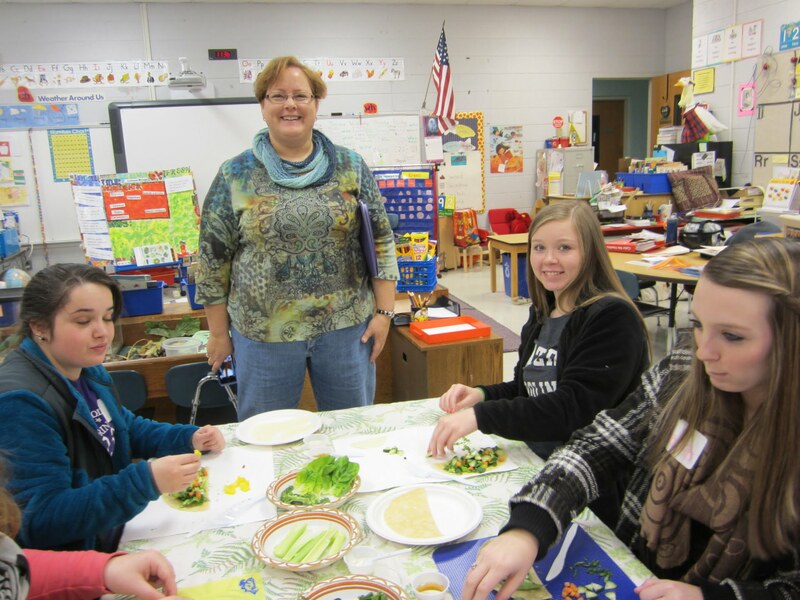 Hundreds of young adults majoring in nutrition and education have volunteered in schools to conduct local food cooking classes, gardening lessons, farmer classroom visits, and cafeteria taste tests. One result of the students’ efforts is healthier children and healthier families in the community. Over the past four years, the project has also cultivated leadership, research, and collaboration within both the faculty and student bodies. This leadership and ASAP’s partnership with WCU was recognized time and time again during the university’s service learning award ceremony. For the 2013-2014 academic year, ASAP was given the university’s award for “Excellence in Community Partnership.” Dr. Patricia Bricker accepted the award for “Outstanding Achievement in Research” for her work with Growing Minds @ University.” Nutrition undergraduate student, Kristin Kowalczyk won the recognition for “Individual Excellence in Community Service” and was also named a Medford Scholar, which comes with a monetary scholarship to honor her volunteerism with ASAP. The audience and presenters took notice of the multiple accolades going to local food and farm to school work and pointed to the collaboration as a model to strive towards.